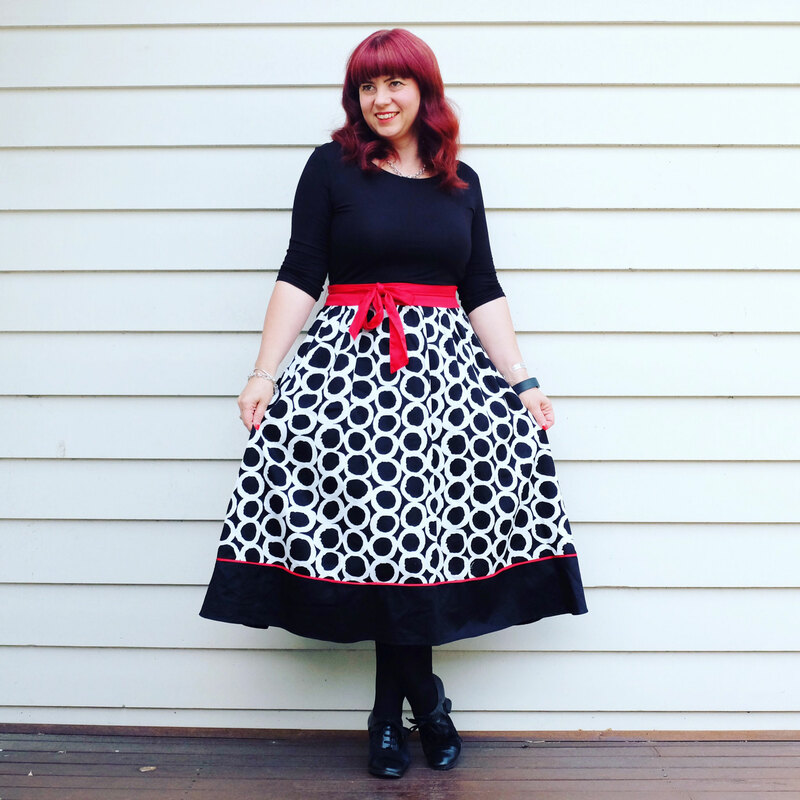 This edition of What I Wore starts with a headache which knocked me for a few days, but thankfully, I recovered in time for my birthday! I have to be honest and say that my weight has crept up lately due to medication changes and I am seriously not liking it…I can really notice the changes in my face, especially when comparing with past outfit photos. 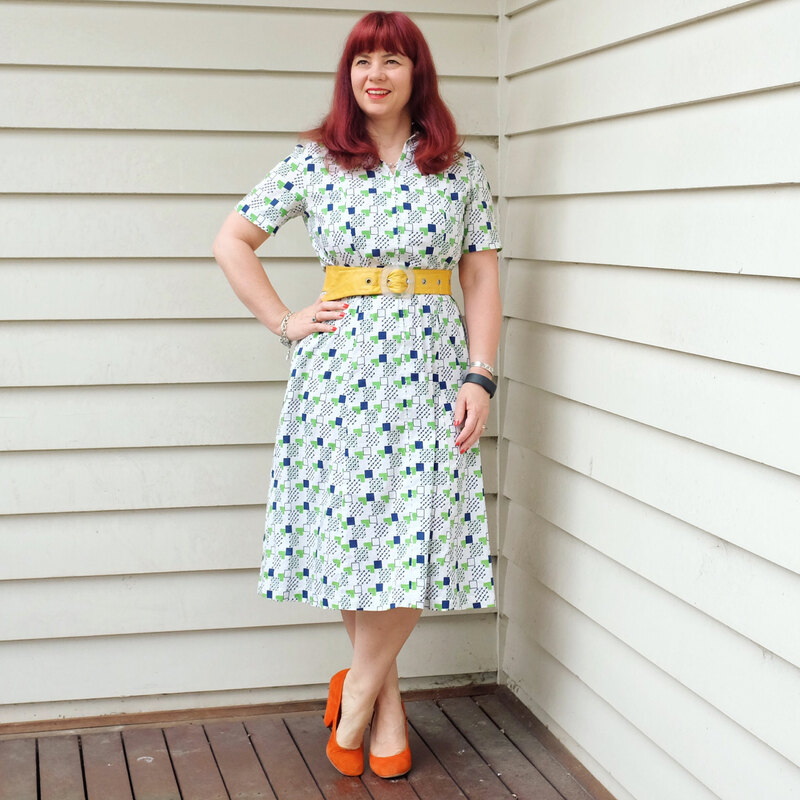 Time to get serious about my health and get exercising…otherwise all my gorgeous vintage outfits will be stuck in the cupboard as I won’t be able to fit into them any more! No outfit shot for Monday due to being stuck on the couch with a bad headache. 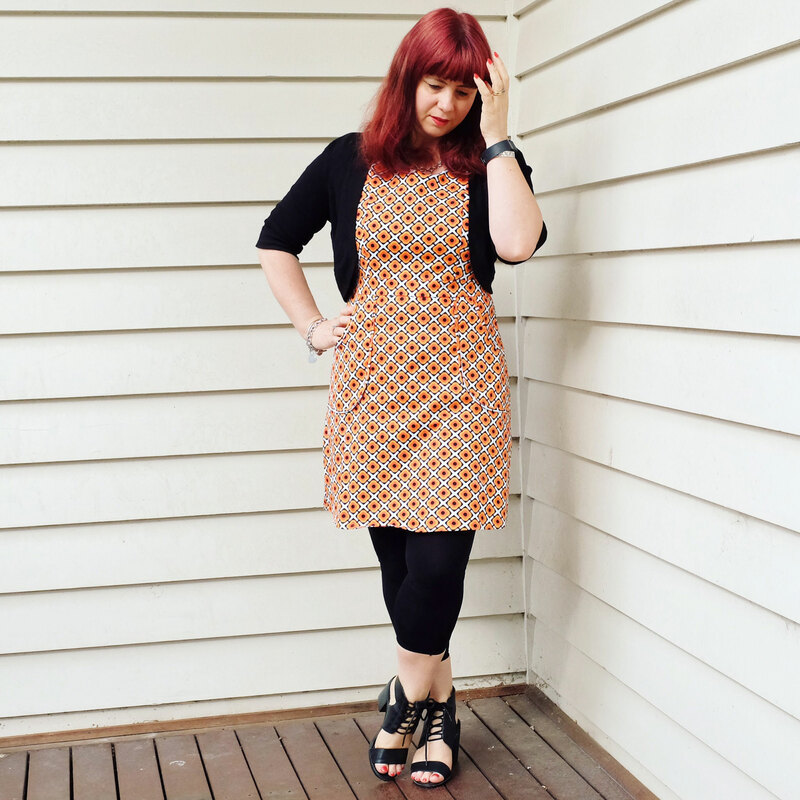 I was determined to get back on my feet on Tuesday…wore a Dangerfield shift dress with a black bolero, leggings and Spendless heels…..
Wednesday was a hot day, weather wise, so went with a vintage sundress with my favourite yellow belt and orange heels combo…both op shop finds! 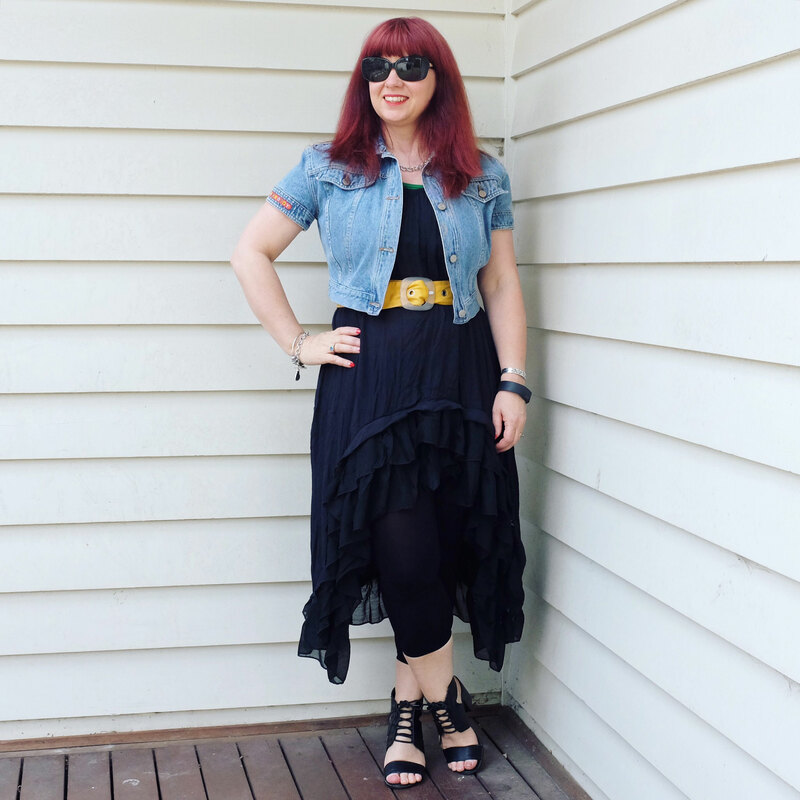 And on Thursday, the weather turned cold again…so it was back into jeans…op shop find Sass & Bide jeans to be exact! 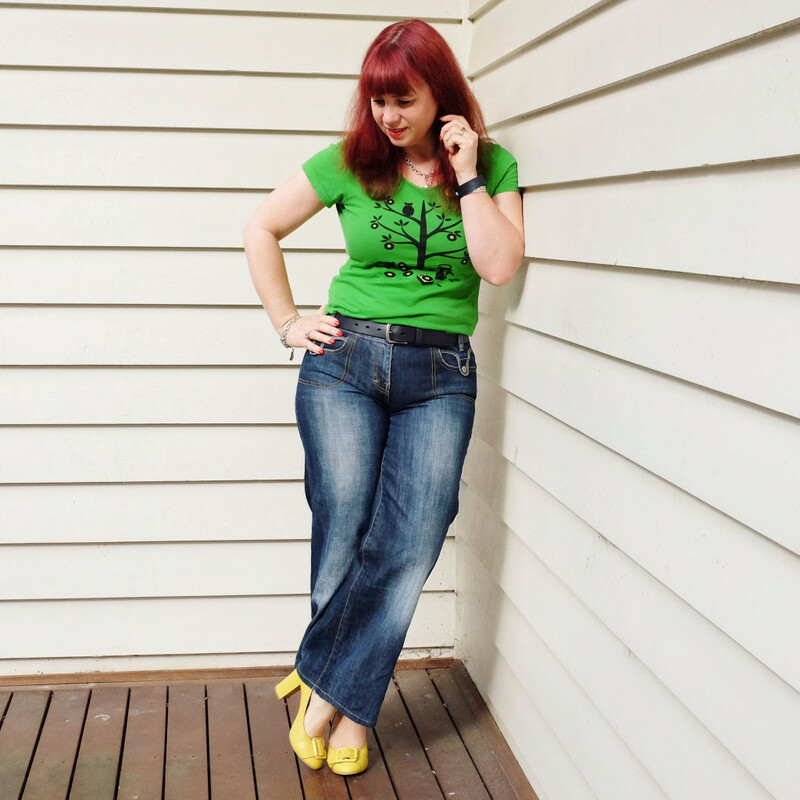 Added a Tomorrow Never Knows t-shirt…also an op shop find…and some yellow heels I have had for years, but are just that little too big for me…. Friday was a day of running around, which also included getting a skin cancer check so there were a couple of outfit changes throughout the day. 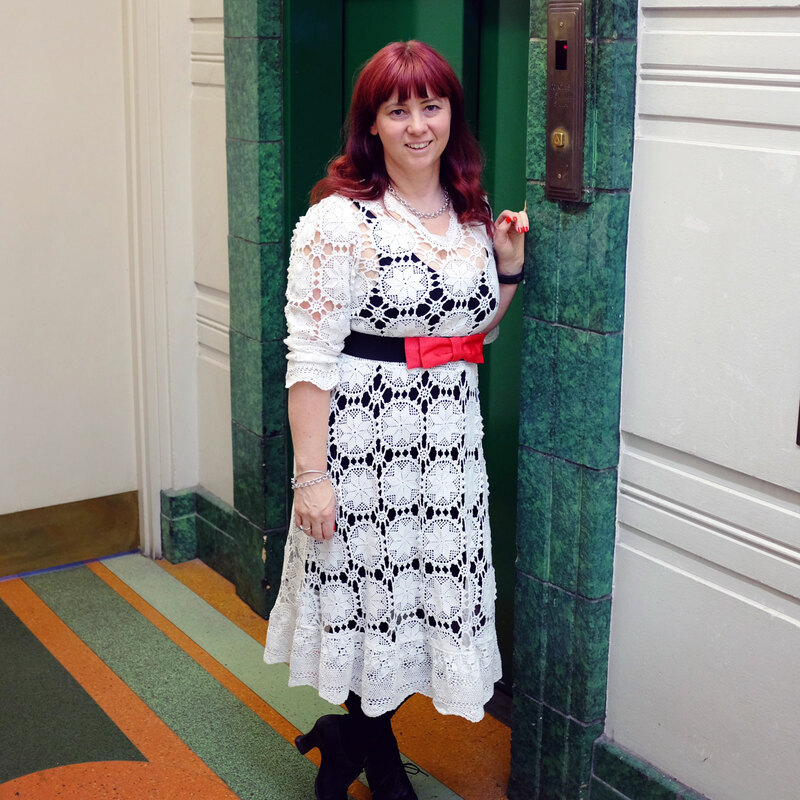 However, this is what I wore when we headed into the city for the first Christmas breakup of the season…a Laura Ashley dress I have had for years, with tights and vintage lace up heels. 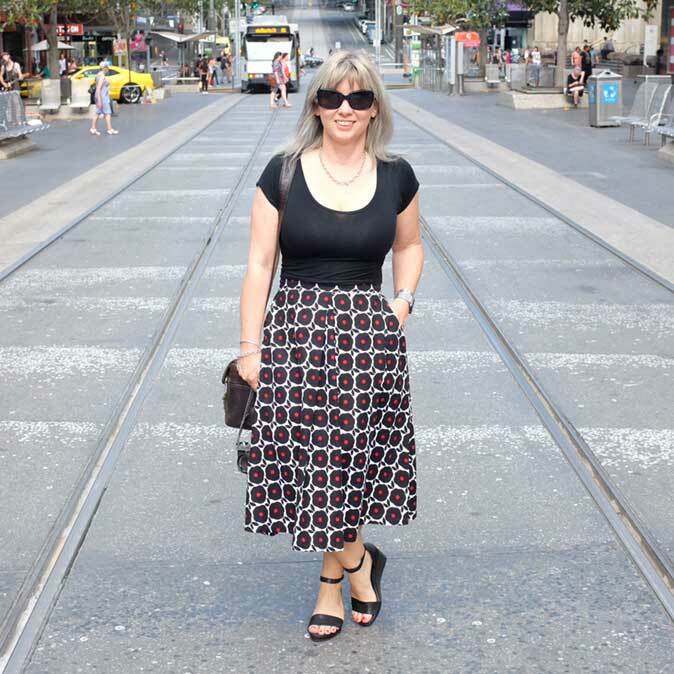 Saturday was a special day…my birthday…so I chose a special dress to wear…a recycled lace dress found at Minette’s Vintage with a black slip, tights, a red bow belt and vintage lace up heels. We spent the day in the city with family, and even snuck a quick visit to Circa Vintage’s stocktake sale, which is located in a gorgeous art deco building…this image is taken in the foyer. Sunday was another day in the city, getting some Christmas shopping done!